While in France we spent a few days in Nantes- a city I know quite well, having lived there for a few years. It was great to see all the changes that have been happening around the city with lots of pedestrian walkways, tramlines and a general rebirth of the city. 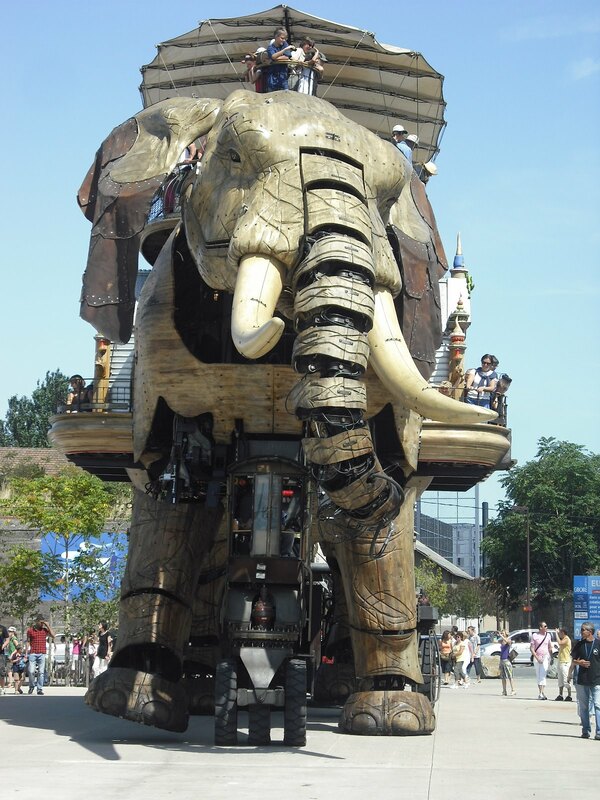 One of the most interesting changes was the Machines of the Isle de Nantes. they are created by the group Royal de Luxe. 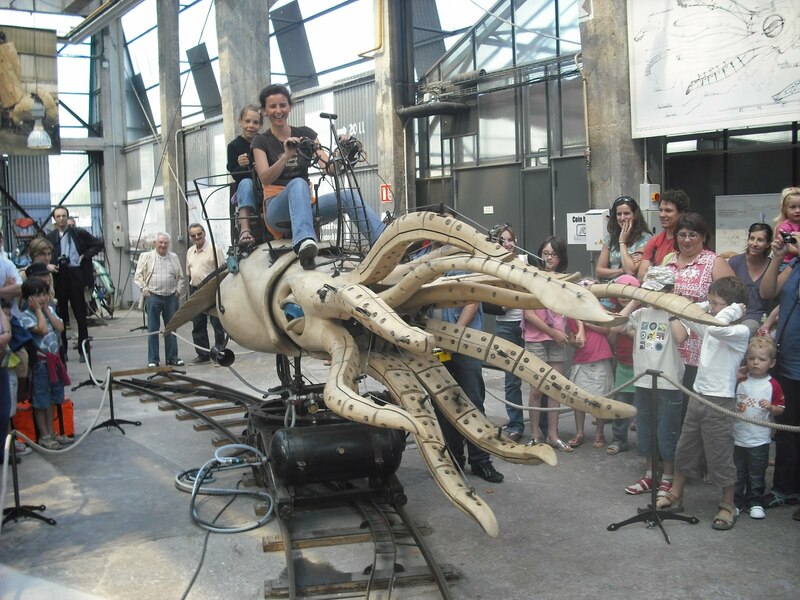 They specialise in making gigantic, intricate and amazing ‘puppets’. So far there is the giant elephant, known as the Sultan’s Elephant- a massive structure 12 meres high (you can see the tiny people on the balconies). Weighing in at 45 tonnes, it has some cute & quirky features, like squirting water at the on-lookers. 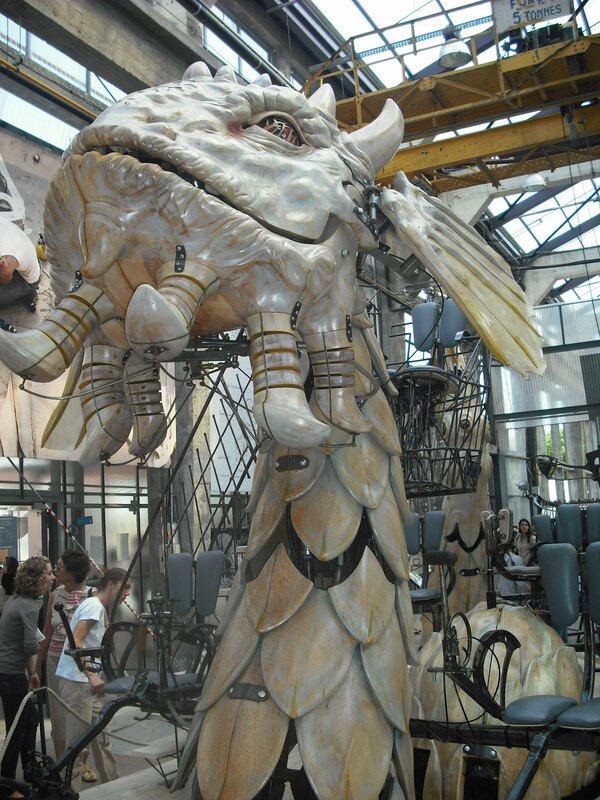 It’s also equipped with a bell on its tail that the kids can ring by pulling a rope. Its ears are leather and can flap, its eyes move- the whole thing is SPECTACULAR! 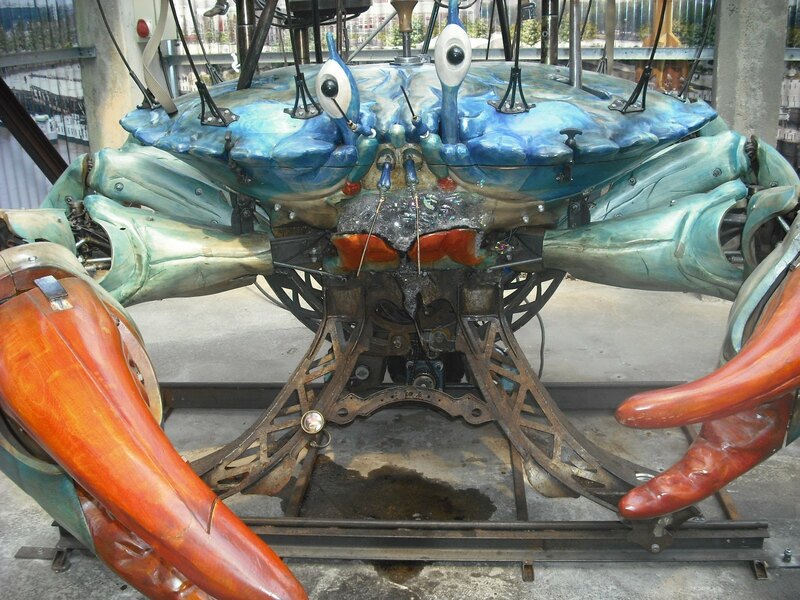 As well as the giant elephant, they are making a fantastically intricate carousel, with larger than life sting rays, boats and other extraordinary creatures. These are a few of the critters that will become part of the colossal marine themed carousel in a few years time. It’s fantastic (and rare) in these days to see art being created without the budget being the bottom line. All these puppets are fashioned by artisans, working with wood, metal, leather and hydraulics to come up with these designs. 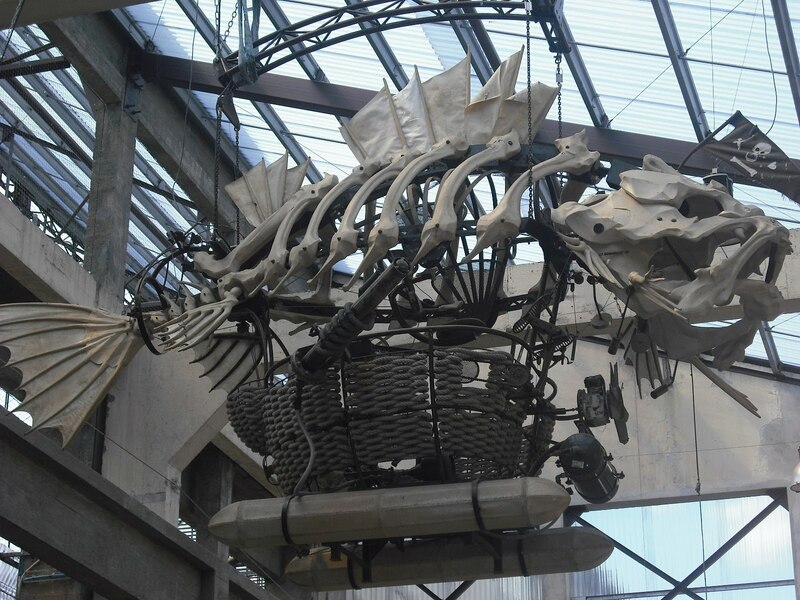 Their work really looks like something from a Jules Verne novel, which is appropriate, seeing as he was born in Nantes. 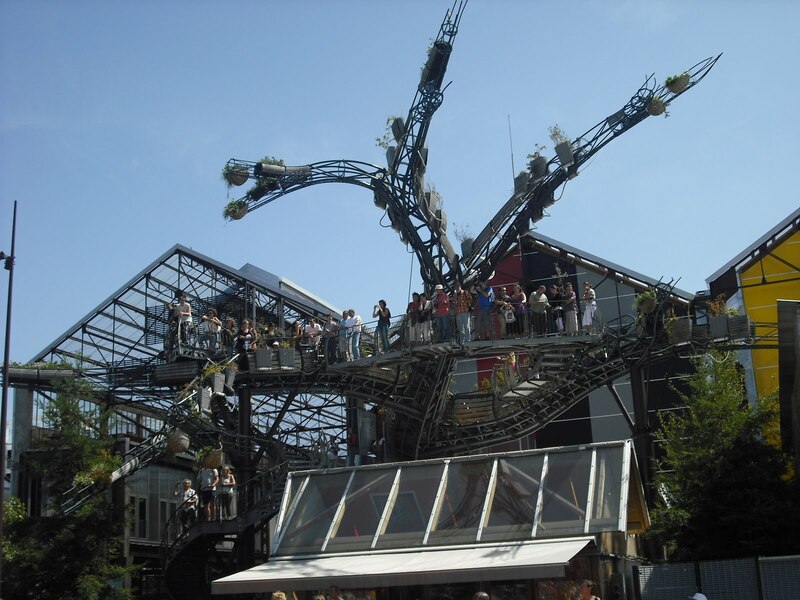 I think these will really put Nantes on the world map as a must-visit destination. Have a look at Wikipedia- the Sultan’s Elephant or for more photos of the amazing work that Royal de Luxe is making, have a look at more photos on Flickr.